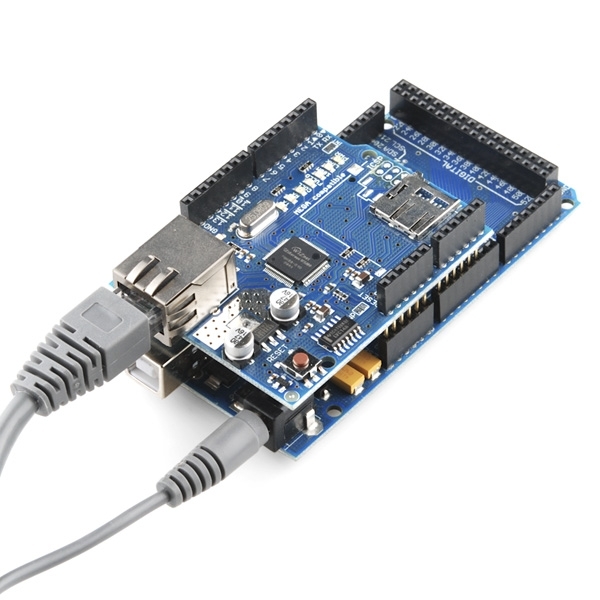 Integrating Ethernet support into your project is a great way to relay data through a local area network and even bounce information out to the internet. Sometimes it's hard to get power to your Ethernet devices. Wouldn't it be convenient to use the same cable for power and data? 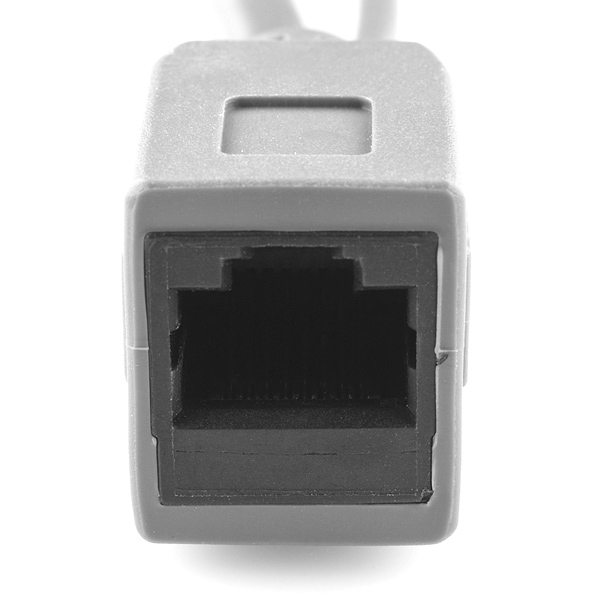 Using these power over Ethernet adapters, you can do just that! 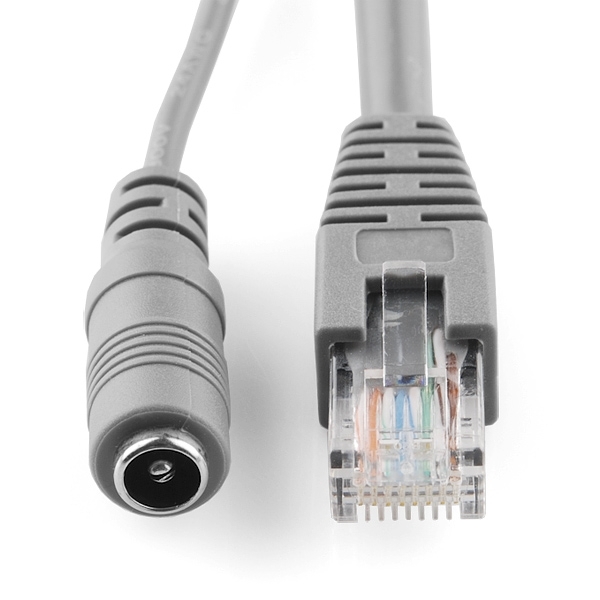 Each cable has a female RJ45 on one side which is adapted to a male RJ45 and 5.5x2.1mm barrel jack connector on the other side. The 'injector' cable has a female barrel jack connector and the 'splitter' cable has a male barrel jack. 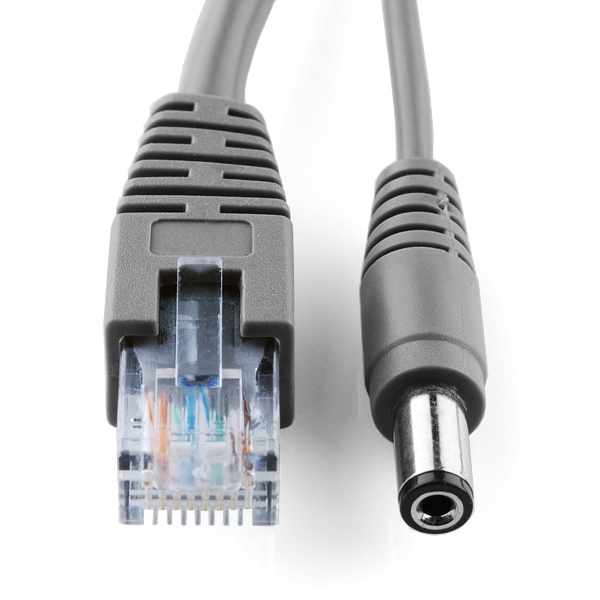 Simply attach the cables at each end of your network cable, plug the male barrel jack from the splitter into your target device and plug your power adapter into the injector. 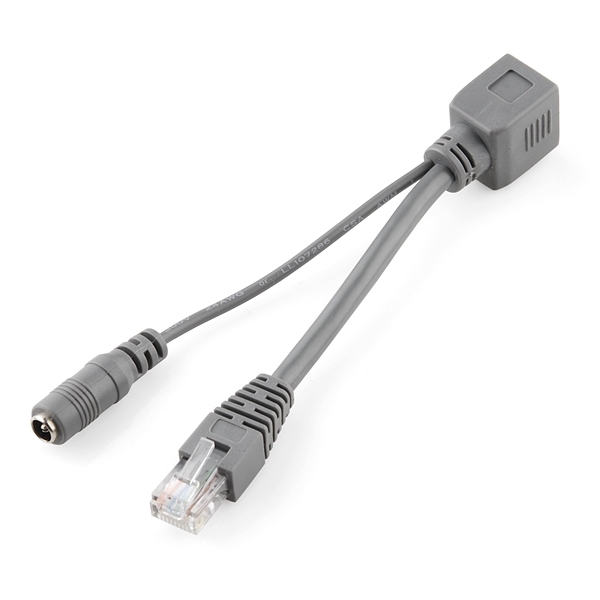 Now you can use one cable to provide both power and data for your Ethernet enabled device. Note: You are getting a set of two cables.